The newest JMSDF destroyer, seen here arriving at Sasebo. Thank you very much, Douglas and Denis! Great shot and an impressive ship too. Indeed not bad at all Vlad. Most European frigates have a similar price tag these days. 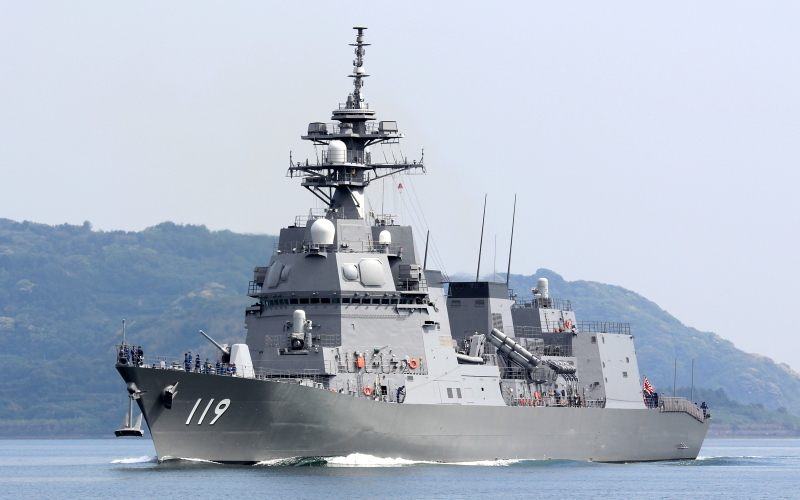 In Japan, this new class of destroyer is referred to as the 25DD Class, owing to the financial year in which the construction was approved (2013, 25th year of the Heisei period). This photo has been shown 1,183 times since it was added to the site.